Ever wondered how youth hostels have lasted for more than 80 years. The answer just might be in the latest YHA magazine, Live More YHA, which launched in August. Packed with network news, big name interviews and the latest gear reviews, the e-zine went to 350,000 people, members and non-members. Electronic and colourful, it’s the latest in a long line of YHA magazines and newsletters. It shows how youth hostels have continued to adapt themselves. Rucksack, the first magazine, launched in the winter of 1932. It’s first duty was to keep people in touch with the phenomenal growth of youth hostels. In the summer of 1930 the Association consisted of a few dozen members and a plan. Less than two years later it numbered 20,000 members and claimed 150 hostels. 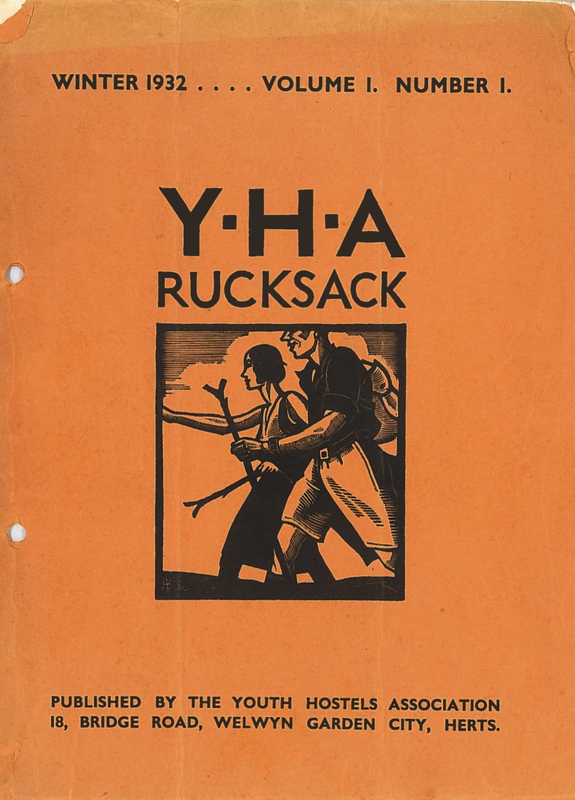 Like today’s e-zine, YHA published Rucksack every three months. Live More YHA has an interview with celebrity, Ben Fogle. Big names also contributed to the magazine in 1932. Prime Minister, Ramsay Macdonald, Professor GM Trevelyan, historian, popular author and first YHA President, and HH Symonds, a campaigner for conservation in the Lake District, all contibuted. Despite a shortage of paper, Rucksack magazine survived the Second World War in a smaller format and Tom Stephenson, the founder of the Pennine Way, edited the magazine. 1950 marked a shift to publication every two months, a new editor and more colourful covers. Rucksack became Youth Hosteller in 1957, appearing once a month, until its last few issues. It became Hostelling News in 1972, appearing quarterly in a newspaper style. YHA Magazine came next, published quarterly in a small, glossy format from 1985. From 1989, modified, it became Triangle and lasted until 2006, when YHA could no longer afford the high production and mailing costs of a printed magazine. All the changes show how youth hostels changed and why. They had to keep up with the times. The had to keep up with changing technology. Today’s digital magazine can reach many more people, more quickly than any paper communication. A version of this article first appeared in YHA’s magazine for staff, Connect, in September 2015.